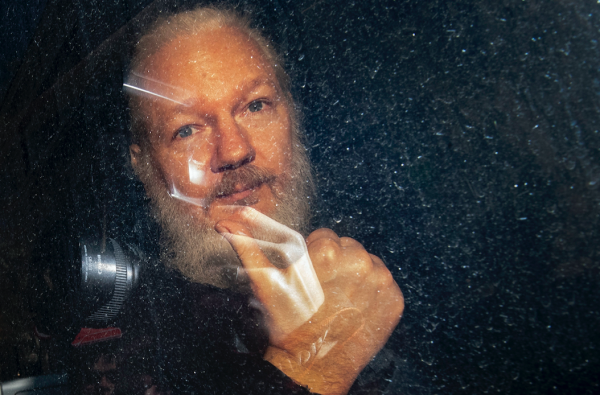 According to the Department of Justice “The indictment alleges that in March 2010, Assange engaged in a conspiracy with Chelsea Manning, a former intelligence analyst in the U.S. Army, to assist Manning in cracking a password stored on U.S. Department of Defense computers. This is really bothering me. Forty years of carrying the pain of the injustice of Leonard peltier’s incarceration, still not ended, and now we have the start of another one. Five years? No, they’ll either kill him or imprison him for life. It is like Leonard Peltier, isn’t it? Excellent Point, sadly. I think weakened and wounded USAmerica, especially after their failure to perpetrate another coup in Venezuela, entering the 18th year of a military that can’t win a war and after having surrendered whatever fig leaf of “moral authority” their propaganda created might be afraid of growing U.S. public anger and political resistance to do much more than this wimpy charge – a charge that would be easily rejected by any reasonable jury if he gets a fair trial. And more woe unto USAmerica, INC if he does NOT get a fair trial. Leonard. How heavy will our hearts get as this country disintegrates? If he is indeed extradited to the US , we can expect the keys to be unlocked for the trove of information that is sealed through incription .Many are very curious as to what it will reveal . We shall see how this all unravels but one thing for sure , he will go down in history as carrying the torch of freedom of expression regardless of how this all turns out. 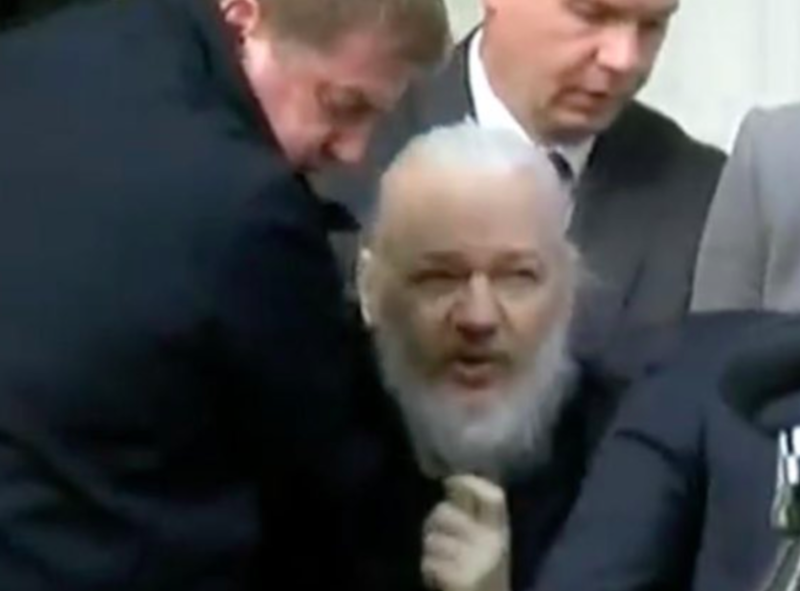 This whole thing makes me feel so sad ….especially for Julian, a man who is a warrior for truth … now he is being made a martyr. I pray for his victory! You are a true hero Julian. May the force be with you.